Lucas was born with suspected Foetal Alcohol Spectrum Disorder (FASD) and officially diagnosed at 8 1/2 years old. 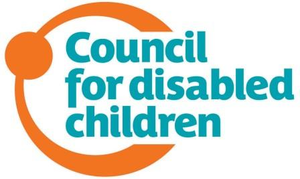 The effects of FASD include physical, mental, behavioural and learning disabilities. Lucas has faced many challenges from birth including foster care, which led to his adoption. Lucas struggles on a daily basis with his emptions and social skills resulting in many of his peers having difficulting in accepting some of Lucas' behaviours and lack of social and language skills. School is a particular difficulty for Lucas, however he is an extremely happy and loving child who enjoys being outdoors and surrounded by this family. 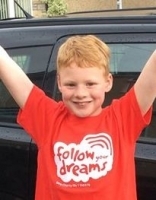 Lucas is a huge rugby fan and has recently joined the training sessions with Beddau RFC who are supporters of Follow Your Dreams. His main hobby is lego, he spends hours playing with his lego and has recently began building lego himself (a difficulty he has due to his poor motor skills). Lucas is aware of his disabilities, however he is not allowing them to get in the way of his dreams. Mum told us Lucas has been lucky to receive so many opportunities that would not have been possible without Follow Your Dreams. So being an Ambassador is a fantastic way for him to be able to give something back to such a wonderful charity. Lucas has always been very enthusiastic to help out in any way he can for Follow Your Dreams whether its been fundraising, attending events or promoting the Charity.